” But Ken, you are also the first Aboriginal Australian to be a member of an Australian government. Again, that is long overdue. But it is one of the steps that our Government has taken, my Government has taken, to advance the voice of Aboriginal Australians, First Australians, in our Parliament, in our nation’s affairs. Secondly we are commissioning two additional portraits. Firstly, one of former Senator Nova Peris, who was the first Indigenous woman to serve in the Senate. Yanggu gulanyin ngalawiri, dhunayi, Ngunnawal dhawra. Wanggarralijinyin mariny bulan bugarabang. We are on the lands of the Ngunnawal people and we acknowledge that and we acknowledge their elders past and present. I want to thank Aunty Matilda for that characteristic Welcome to Country, and the presence of little Evie. It says a lot you know – come here Ken, I’m going to give this old guy a hug and then we will be crying into our teacups – look, it says a lot about us Australians that we can celebrate such a wonderful, historic occasion as this. Celebrate this unveiling of this portrait and do so with good humour, with love, with affection, with no rancour. Aunty Matilda who, as she said, had an appointment she had to head off and with her red coat and her wit, she set us all on the right track. So Ken, thank you so much for everything that you do. Mary, thank you for painting this portrait. Thank you for revealing what we all know, that Anna lights Ken up. You were there, you were there. Was he being a bit stiff and shy? Then Anna came closer and that spark, that got him going. Fantastic. Ken, you have followed 39 years after Neville Bonner. I should say that Neville Bonner’s great-niece Jo Lindgren sends her love to you and to Anna and to everyone here today; another Aboriginal Australian who was a member of the Senate until recently. 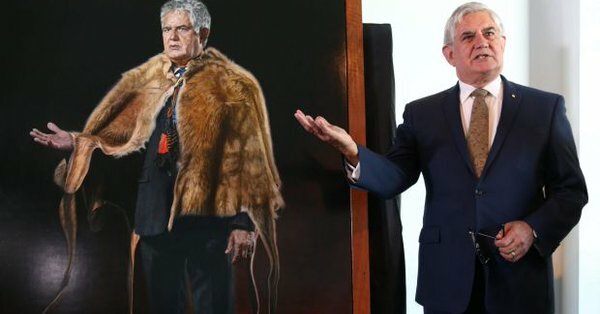 But Ken was the first Aboriginal man to be elected to the House of Representatives and as Bill said, over 1000 Australians have been elected before him. Too many. But now he’s joined by Linda Burney, the first woman and, of course, following in Neville’s footsteps in the Senate we’ve had many others; Aden Ridgeway you mentioned, Nova Peris – who of course is here and I will have more to say about her in a moment – Jo Lindgren and of course now Malarndirri McCarthy, Pat Dodson and Jacqui Lambie. But Ken, you are also the first Aboriginal Australian to be a member of an Australian government. Again, that is long overdue. But it is one of the steps that our Government has taken, my Government has taken, to advance the voice of Aboriginal Australians, First Australians, in our Parliament, in our nation’s affairs. You bring with it an extraordinary personal quality. Ken has, the New Zealanders would call – it’s a Maori word, it’s almost untranslatable – they would call it ‘mana’. Ken has a presence, a life-force, a calm, an aura. I’m not getting new-age here Ken don’t worry. But you have got a presence and a calm and a wisdom that all of us are inspired by. Even our political opponents, as you can see. So it is wonderful to be here with you; I want to thank you very much for your service. You have advanced that cause of reconciliation so much, simply by your advocacy, your presence, the love that you show. The way that you represent the people of Hasluck, the people of Australia that you represent too. You embody here, Buka and all, the oldest continuous human culture on our planet. So I want, before we go to announce, to unveil the portrait, I want to make another announcement. That is, that we are commissioning two additional portraits. Also the Honourable Linda Burney, the first Indigenous woman to serve in the House of Representatives. Ladies and gentlemen, they will join Ken and Neville Bonner. That demonstrates the continuity of that historical collection that the Presiding Officer spoke of. So congratulations, Mary, on your painting. It’s a hard task portrait painting, capturing that mana. But you have done that and so Ken, I think it is up to us now to unveil you, if not to hang you. That will be done by the Parliamentary staff of whom you have spoken so warmly, but I’ll hang you with affection. Ken Wyatt was born at the Roelands Mission Farm, near Bunbury in Western Australia (WA) and is the eldest of ten children. After moving to the remote town of Nannine, the family settled in Corrigin, 229 km south east of Perth, where he attended school. Wyatt trained as a teacher and taught in primary schools between 1973 and 1986 before moving into the education policy sector. His extensive work in training and mentoring young people was recognised in 1996 when he was awarded the Order of Australia. Between 1996 and 2010, he served the public in many capacities, including as Director of Aboriginal Education with the WA Department of Education, District Director for the Swan Education District, Director for Aboriginal Health with the New South Wales (NSW) Department of Health and, later, as Director for Aboriginal Health with WA Department of Health. In 2010, Wyatt successfully stood for the Liberal Party in the WA seat of Hasluck, becoming the first Indigenous Australian to be elected to the House of Representatives. 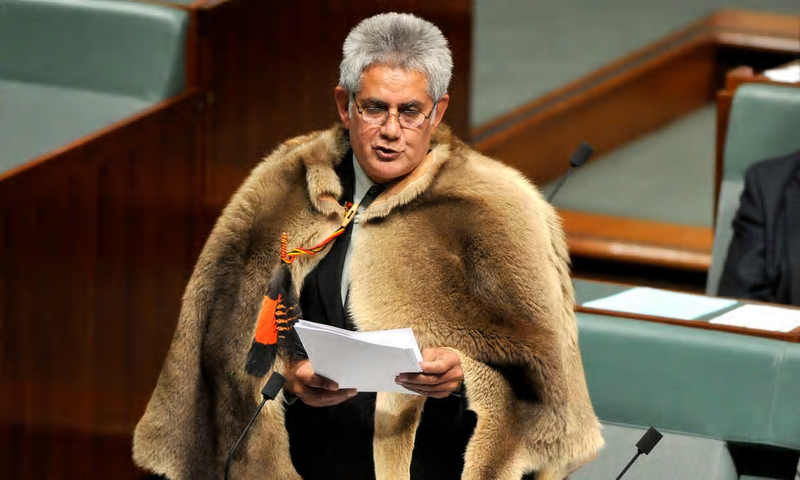 For the opening of parliament on 28 September 2010, Aboriginal leaders held a traditional welcoming ceremony for Wyatt outside Parliament House and Noongar elders presented Wyatt with a ceremonial cloak made of kangaroo hide, a bookha, which he wore as he took the oath of office. He gave his first speech in the House of representatives chamber on 28 September 2010 wearing the bookha and it is depicted in his official portrait for the Historic Memorials Collection. In 2015, he became the first Indigenous member of the Federal Executive following his appointment as Assistant Minister for Health. On being appointed Minister for Aged Care and Minister for Indigenous Health in 2016, he also became the first Indigenous minister to serve in the Australian federal parliament. ” Providing health care that was culturally appropriate for Indigenous people was crucial. The procedures and treatment regimes are the same as any other Australian receives so that we push out life and we move to closing the gap. Increasing the number of Aboriginal and Torres Strait Islander people working in health care will also be discussed. Senior representatives from Australia’s medical colleges are converging on Canberra today for a roundtable aimed at improving treatment for Aboriginal and Torres Strait Islander people. 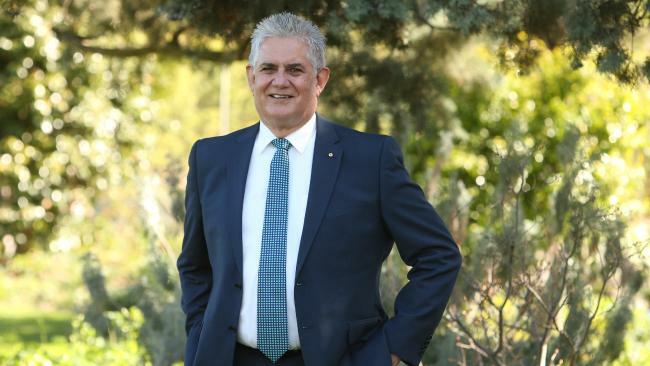 Indigenous Health Minister Ken Wyatt will host the 12 colleges at Parliament House in a bid to boost outcomes and access to health care over the next decade. The powerful groups include the Royal Australasian College of Surgeons, the Australian College of Rural and Remote Medicine and the Royal Australian College of General Practitioners. “[They’re] important for me to partner with if I’m going to close the gap,” Mr Wyatt told the ABC. 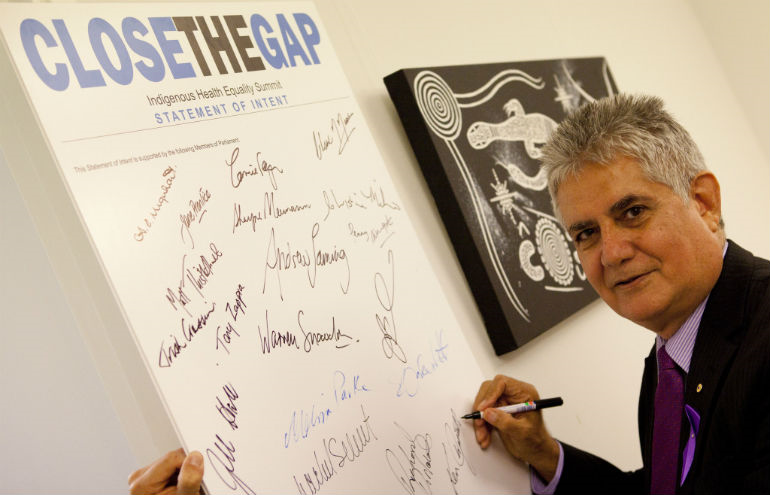 Prime Minister Malcolm Turnbull’s Closing the Gap report to Parliament last month showed six of the seven targets were off track, including life expectancy and child mortality. 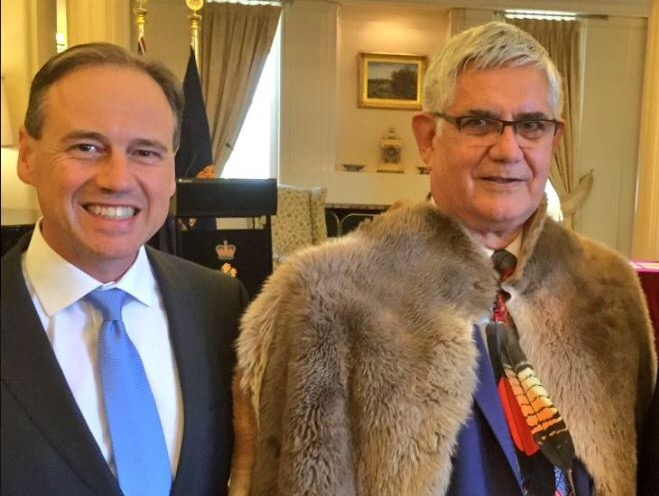 Mr Wyatt earlier this year became Australia’s first-ever Indigenous federal government minister. Australia has promised to ‘close the gap’ on Indigenous disadvantage. But we are failing on six of seven key goals. For example, returning to country at the end of life and having a traditional burial are often important for many Aboriginal and Torres Strait Islander people. 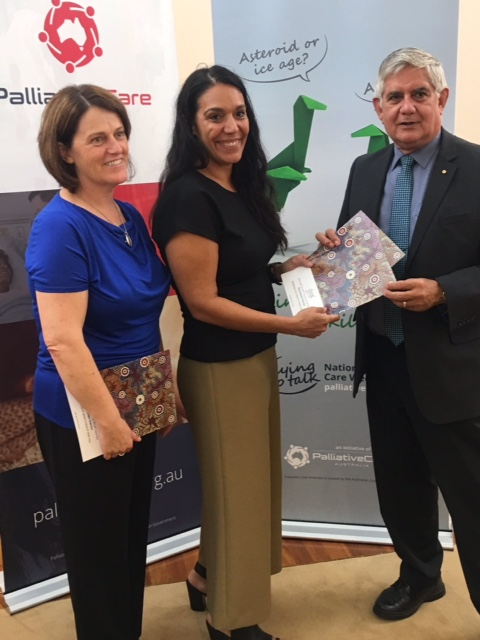 CATSINaM CEO Janine Mohamed ( Pictured above with the on Ken Wyatt ) says these resources will help health care workers open conversations around end-of-life care in a culturally safe way. 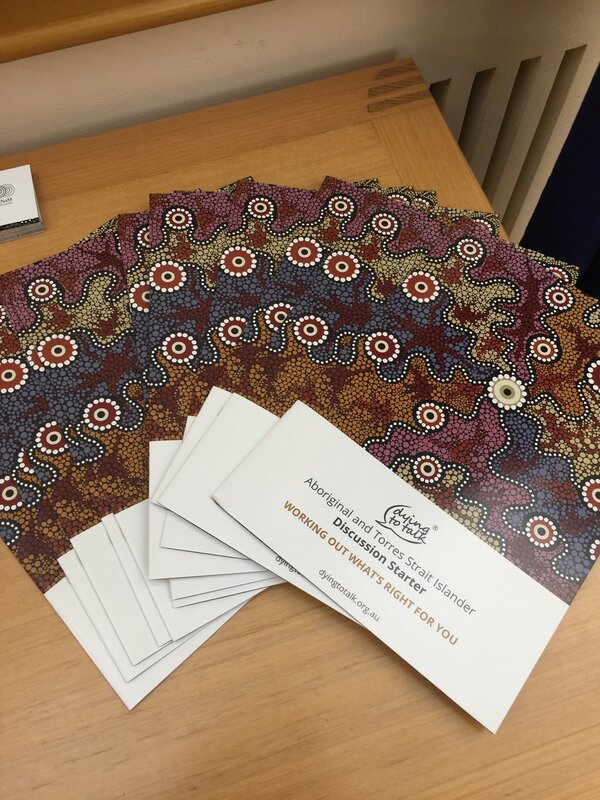 New resources launched today by the Hon Ken Wyatt, Minister for Indigenous Health, will help Aboriginal and Torres Strait Islander people discuss their end-of-life care wishes with their families and health care teams. The Aboriginal and Torres Strait Islander Dying to Talk resources were developed in partnership by Palliative Care Australia (PCA) and the Congress of Aboriginal and Torres Strait Islander Nurses and Midwives (CATSINaM). PCA CEO Liz Callaghan says the resources were developed after consultations with Indigenous health organisations that identified the need for a specific resource for Aboriginal and Torres Strait Islander people. “The Aboriginal and Torres Strait Islander specific resources have been developed to support advance care planning and end-of-life discussions,” Ms Callaghan said. “Focus groups were held with Aboriginal and Torres Strait Islander people to understand what barriers they had in discussing their end-of-life care wishes and planning for death. Those focus groups informed the design and content of the Discussion Starter and the Dying to Talk Cards to ensure they were culturally safe and useful. The resources can be accessed at http://dyingtotalk.org.au/and printed resources can be provided by request pcainc@palliativecare.org.au. Palliative Care Australia is funded by the Australian Government. 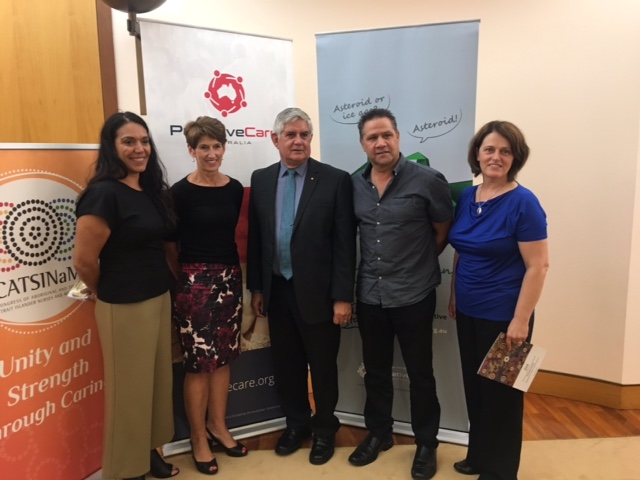 A discussion starter about end of life care, specifically developed for Aboriginal and Torres Strait Islander people, was launched at Parliament House by the Minister for Aged Care and Minister for Indigenous Health, Ken Wyatt. The resources can be accessed at the Dying toTalk website. The government has moved to target the socio-economic ­determinants of health for policy revisions. 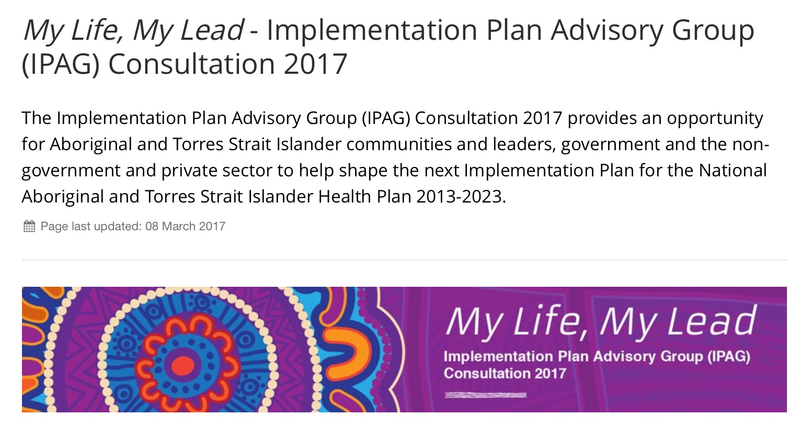 Indigenous Health Minister Ken Wyatt has called on communities to contribute to discussions through the My Life, My Lead consultations. The failure to adequately improve Aboriginal and Torres Strait Islander health has prompted the Turnbull government to order a sweeping review of its multibillion-dollar primary health programs. 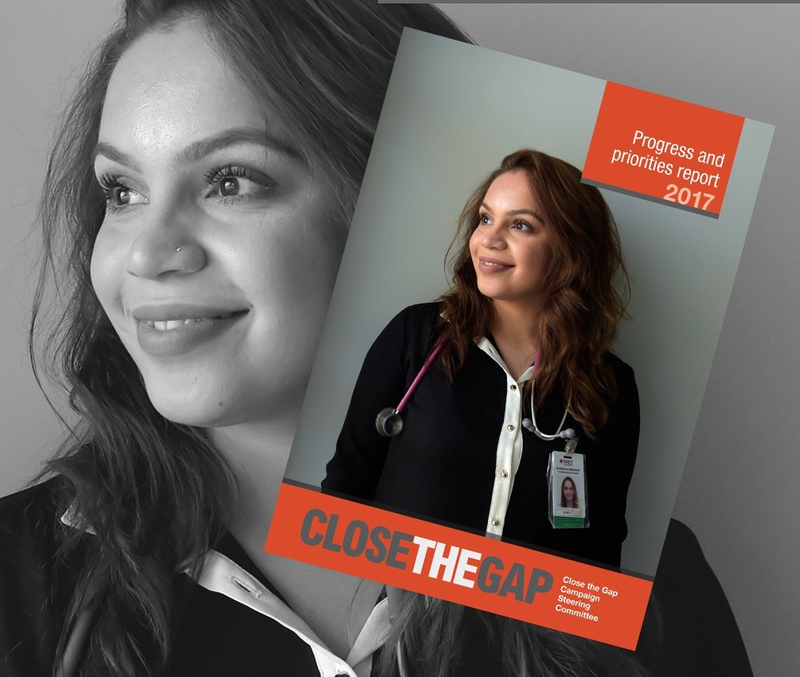 Malcolm Turnbull’s recent update on Closing The Gap initiatives showed little improvement in indigenous health and a consistently dire outlook, at a time health systems and budgets are under strain. The target of closing the life expectancy gap — 16 years for ­indigenous women and 21 years for indigenous men — will not be reached by 2031. While the chronic diseases death rate has improved, cancer deaths still rise and smoking rates are too high. Documents provided to companies interested in conducting the independent review reveal the department’s frustration at the lack of improvement and the need to reassess the approach to serving indigenous communities. 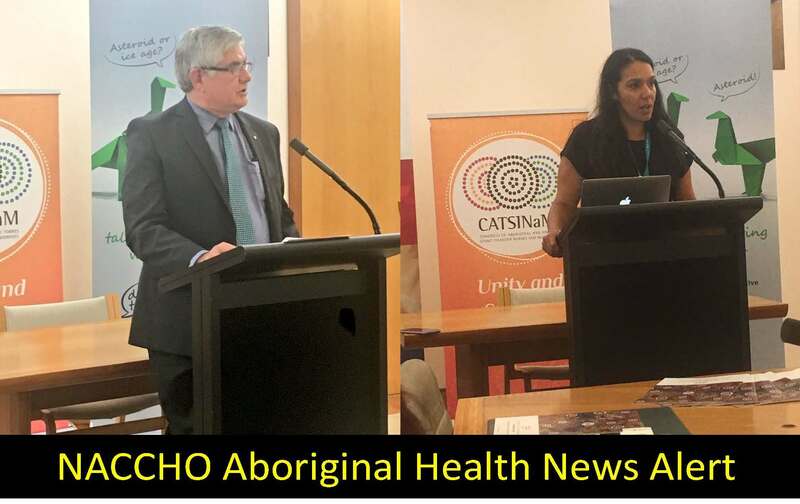 Last month, the government said it was committed to a new partnership with Aboriginal groups who presented the Redfern Statement to the Prime Minister, and the Indigenous Health Minister Ken Wyatt said Primary Health Networks must start working properly with ACCHOs. “Yet right now just three or four of the 31 Primary Health Networks are genuinely working with theACCHO sector and the bulk of funding is going to mainstream services that are not showing results. “As Minister for Indigenous Health it is my job to work for better health outcomes for Aboriginal and Torres Strait Islander people in this country. Today, is National Close the Gap Day. We all want health outcomes for Aboriginal and Torres Strait Islander people that are equal to those of non-Indigenous people. Vaccination coverage rates are the highest ever among Aboriginal and Torres Strait Islander children entering school and since 2009 there has been an increase in children fully immunised – particularly at five years of age – from 76.8 per cent in 2008 to 95.2 per cent in 2016. I want to acknowledge the role the Aboriginal Medical Services and State and Territory health systems for supporting the Commonwealth to achieve these figures. Close the Gap Day is a day to acknowledge the critical role Aboriginal medical services and health professionals must play in turning around the significant health gap between Aboriginal and Torres Strait Islander people, the National Aboriginal Community Controlled Health Organisation said today. NACCHO Chair Matthew Cooke said after a decade of the Close the Gap campaign, programs andprojects managed by Aboriginal services on the ground in local communities are the only model proven to be making inroads in closing the Indigenous health gap. In the past 12 months, Aboriginal Community Controlled Health Organisations provided almost 3 million episodes of care to over 340,000 clients and employed 3,300 Indigenous staff across Australia. “Despite endless reports, studies and recommendations – just one in seven of the targets under the Closing the Gap Strategy are on track to be met by 2030,” Mr Cooke said. “The lives of Aboriginal and Torres Straight Islander people are still on average 10 years shorter, we have far higher incidences of chronic diseases such as Diabetes and cancer and our children have less access to good quality education than the average non-Indigenous Australians. “The evidence tells us that Aboriginal people respond best to health care provided by Aboriginalpeople or controlled by the Aboriginal community. “Last month, the government said it was committed to a new partnership with Aboriginal groups who presented the Redfern Statement to the Prime Minister, and the Indigenous Health Minister Ken Wyatt said Primary Health Networks must start working properly with ACCHOs. Mr Cooke said at least one-third of the health gap can be attributed to the social and cultural determinants of health. The political needle recently swung to the issue of childhood vaccination with a call for parents to do their own research before deciding if they would or should immunise their children. The issue of childhood vaccination is too important to be left hanging as just another claim by a politician in a “post-truth” world where facts are less influential in shaping public opinion than appeals to emotion and personal belief. I believe it is important for parents to be fully informed of the medical facts before they make what can be life or death decisions affecting their children – and the children of others. Immunisation is the most significant public health intervention in the past 200 years because it provides a safe and effective way to prevent the spread of many diseases that cause hospitalisation, serious ongoing health conditions and sometimes death. Since the introduction of vaccination for children in Australia in 1932 deaths from vaccine-preventable diseases have fallen by 99 per cent despite a threefold increase in the Australian population. As Minister for Indigenous Health it is my job to work for better health outcomes for Aboriginal and Torres Strait Islander people in this country. Today, is National Close the Gap Day. We all want health outcomes for Aboriginal and Torres Strait Islander people that are equal to those of non-Indigenous people. Until that happens we cannot claim to have a truly universal health system that meets the needs of all Australians. This year’s Closing the Gap Report has mixed results and provides us with an opportunity to consider our course and reinvigorate our commitment to this fundamental task. We are making some strides in tackling Indigenous health issues, however, we have to do more. Immunisation rates for Aboriginal and Torres Strait Islander children are improving. Five-year-old Indigenous children have higher immunisation coverage than non-Indigenous five-year-olds. In December 2016, Australian Immunisation Register data showed that 95.20 per cent of Aboriginal and Torres Strait Islander children aged five were fully immunised compared with 93.19 per cent of all children of the same age. These statistics confirm that we have nearly achieved the 2023 goal of 96 per cent of children aged five being fully immunised. Immunisation is critical for the health of children and the wider community. Interventions within the first three years of life have been shown to have the greatest impact on health and life outcomes. There is a close relationship between health and educational outcomes. Developmental delays, including sight and hearing issues, and early incidence of chronic diseases directly impact a child’s ability to grow and learn. I recently announced $27 million for children and maternal health programs. This funding will go towards services such as antenatal and postnatal care, breastfeeding assistance, health and development checks and also ensuring children are properly immunised. When I was a teacher I saw children with measles. I suffered from whooping cough and ended up with lung damage and I do not want to see children compromised because of a philosophical stance that some parents may have because they are influenced by Doctor Google or misinformation from anti-vaxxers. It’s not just about protecting your child, it is about protecting other children who use child health centres or childcare. The more people who are vaccinated the fewer opportunities a disease has to spread. The success of the National Immunisation Program and policies such as No Jab, No Pay has not happened by accident. It is backed by science and virtually every medical and health expert in Australia. Increasing immunisation is part of Closing the Gap and is community-driven, tailored, innovative and sensitive to individual and community needs. We want to see parents empowered by information, supported by appropriate services and accessing care in ways that suit them. Increasing immunisation coverage is the result of community action and I want to see that continue. 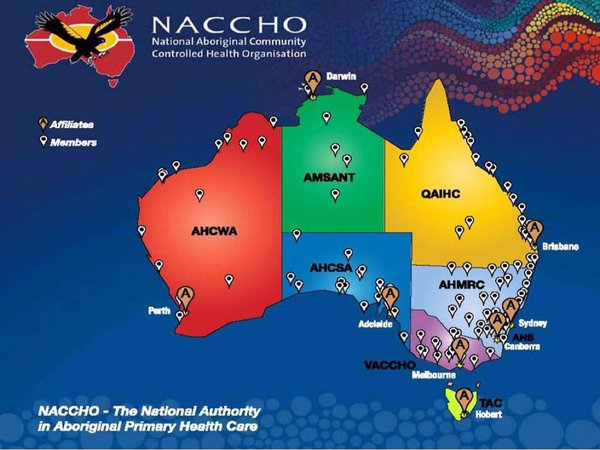 ” Primary Health Networks are being encouraged to consider the skills of the National Aboriginal Controlled Community Health Organisation ( NACCHO ) and Aboriginal Community Controlled Health (ACCHO’s ) groups to assist delivering innovative health programs to Close the Gap in health outcomes. ” I applaud the National Aboriginal Community Controlled Health Organisation for commissioning this annual report for the benefit of the entire sector. This Healthy Futures report is an invaluable resource because it provides a comprehensive picture of a point in time. These report cards allow the sector to track progress, celebrate success, and see where improvements need to be made. This is critical for the continuous improvement of the Aboriginal Community Controlled Health Sector as well as a way to maintain focus and achieve goals. We need to acknowledge the great system in place that comprises the network of Aboriginal Community Controlled Health Organisations, and recognise the role you play to build culturally responsive services in the mainstream system. “PHN’S should ensure all Aboriginal Community Controlled Health Organisation’s, their regional bodies and state peaks are the preferred providers for any targeted Aboriginal and Torres Strait Islander programs. They should also have representation from Aboriginal Community Controlled Health Organisation’s on their Board of Directors, Clinical Councils and Community Advisory Committees. And they should put into practice the guiding principles developed by NACCHO and PHN’s with the Department of Health Indigenous Health Division. “Primary Health Networks across the country are charged with increasing the efficiency and effectiveness of medical services for patients, particularly those at risk of poor health outcomes, and improving coordination of care and services to ensure patients receive the right care, in the right place, at the right time,” he said. “Improving the health of Aboriginal and Torres Strait Islander people is a key priority for all Primary Health Networks. “They should consider whether their current member organisations and boards have the appropriate mix of skills, knowledge, experience and capabilities to deliver the best health outcomes and if this could be improved. “Primary Health Networks have a vital role to play in improving the health of Aboriginal and Torres Strait Islander people. The peak Aboriginal health organisation today welcomed calls by the Minister for Indigenous Health, Ken Wyatt, to better integrate the skills and experience of Aboriginal community controlled health organisations into Primary Health Networks. National Aboriginal Community Controlled Health Organisation (NACCHO) Chair, Matthew Cooke, said this was something Aboriginal people had been calling for since the introduction of Primary Health Networks (PHNs) and it was great to see the Minister take it on board. “The evidence tells us that Aboriginal people respond best to health care provided by Aboriginal people or controlled by the Aboriginal community,” Mr Cooke said. “Armed with this evidence, Primary Health Networks should be doing everything they can to make sure Aboriginal people are involved in their structures and programs. “They need to better recognise and acknowledge the experience, history and expertise within the Aboriginal Community Controlled Health sector. “Aboriginal Community Controlled Health Organisation provided almost 3 million episodes of care to over 340,000 clients over the last 12 months and employ 3,300 Indigenous staff across Australia which makes them the largest single employer of Aboriginal and Torres Strait Islander people in the nation. “They should ensure all Aboriginal Community Controlled Health Organisation’s, their regional bodies and state peaks are the preferred providers for any targeted Aboriginal and Torres Strait Islander programs. 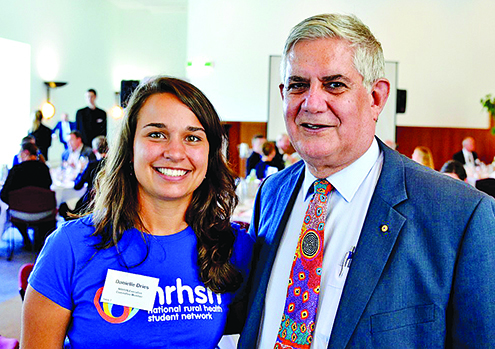 “Ken Wyatt is to be commended for his leadership in encouraging PHNs to take a look at their structures and question whether they have the relevant expertise at hand. 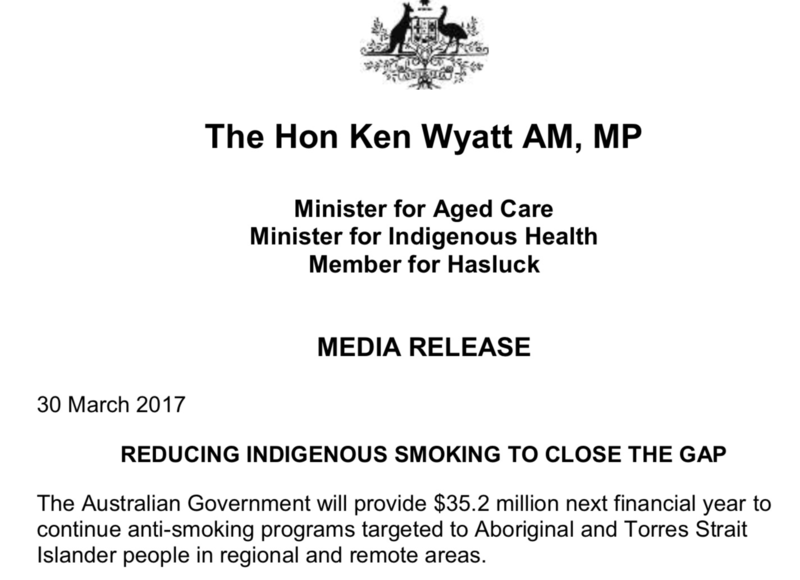 NACCHO Aboriginal Health News : Do @GregHuntMP and @KenWyattMP have clear priorities and direction to save health ? With parliament resuming tomorrow we take a look at what the new Minister for Health Greg Hunt and Ken Wyatt AM Minister for Indigenous Health are building – A national, long-term health plan . Mr Hunt said he had discussed with the Prime Minister the need for a long-term health strategy, across four key areas, to take the health system and “help lift it and build it to be the best in the world”. (1) Rock-solid commitment to support for Medicare and universal healthcare with funding growing every year. (2) A deep, rock-solid commitment to our hospital system, both public and private that work together, with funding growing every year. (3) The third pillar being our deep and my personal, passionate commitment to mental health and preventive health and support for indigenous health, something so profound to so many Australians. (4) Medical research where we bring together the work of the NHMRC, the Biomedical Translation Fund, and the Medical Research Future Fund – three essential elements. 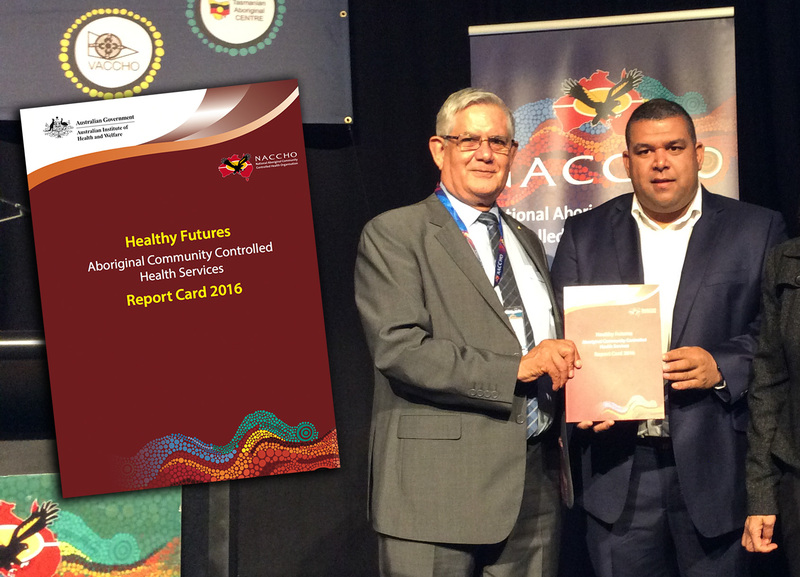 ” Also on the minds of many in the sector is the Nous review of the roles and functions of the National Aboriginal Community Controlled Health Organisation (NACCHO) and the state/territory Aboriginal and Torres Strait Islander health peak bodies (more background about this review is here). In our interview, Wyatt said he would be guided by the findings of the Nous review, and that he would be “looking for a common position that strengthens the role of NACCHO and all the affiliates”. “In times of uncertainty, it’s important that we create certainty,” he said. The Turnbull government will move to reclaim the health policy debate after new minister Greg Hunt identified the need for a long-term strategy to strengthen Medicare, support hospitals, facil­itate world-class medical research and encourage people to take ­better care. After a first term dominated by budget cuts and reviews, the Coalitio­n was savaged at the polls, not only because of Labor’s contentious “Save Medicare’’ campaign but also a lack of overarching policy direction. An expenses scandal then prompted the resignation of Sussa­n Ley as health minister and gave Malcolm Turnbull the opportunity to reset relations with the sector under Mr Hunt, the adept former minister for industry, innov­ation and science and, before that, environment. Three weeks into his new role, Mr Hunt told The Weekend Australian the government was “rock solid” in its support for Medicare but it was too early for him to ­comment on the future of the ­indexation freeze. He said Australia’s health system, while strong, needed clearer direction to cope with an ageing population, lifestyle diseases and the threat of pandemics and antimicrobial resistance. While generally guarded on issues­ related to funding, Mr Hunt said he had discussed with the Prime Minister the need for a long-term health strategy, across four key areas, to take the health system and “help lift it and build it to be the best in the world”. Stakeholder groups are being consulted on Mr Hunt’s plan to strengthen Medicare and universal access, support hospitals under Australia’s public-private hybrid, prioritise preventive health (espec­ial­ly in relation to mental health) and boost medical research­. Mr Hunt suggested that he had underestimated the challenge of mental illness, even though his mother had bipolar disease and the last time he visited her was in a mental hospital. “It’s very real for me, very real, and when I raised this publicly, and hadn’t really talked about it like most Aussie males, I’ve never had such a widespread response of people wanting to talk to me on the streets of my own electorate and elsewhere in Australia,” he said. With mental health and preventive health combined, the Prime Minister this week foreshadowed “a new focus on preventive health (that) will give people the right tools and information to live active and healthy lives”. Mr Hunt said that Melbourne, and to a lesser extent Sydney, were among the world’s top three biomedical hubs and he wanted Australia­ to become the “world leader in genomics and precision medicine”. Following the federal government’s pre-election public hospital funding injection, Mr Hunt said that he was confident it could come up with a long-term agreement with the states by the end of next year. This would probably precede the next election, although Mr Hunt said it was “not a political goal but a policy goal”. One of his more immediate tasks will be to approve health- insurance­ premium increases from April 1. Mr Hunt said he wanted to “make sure we get value for money” and was committed to ongoing reform. Shortly after Ken Wyatt AM was sworn in as Minister for Aged Care and Indigenous Health last week, he made time for an interview in his Canberra office with Croakey contributors Summer May Finlay and Dr Megan Williams. 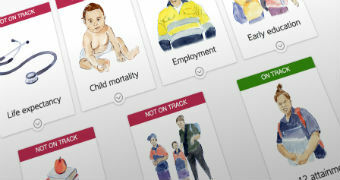 The insights, including a commitment to improving Aboriginal and Torres Strait Islander peoples’ access to primary healthcare, are likely to be of interest to many, particularly given funding uncertainty and cuts that have undermined the health and wellbeing of Aboriginal and Torres Strait Islander people, organisations and services in recent years. Summer May Finlay is a Yorta Yorta woman, public health practitioner and PhD scholar at the University of South Australia. Dr Megan Williams, who is a descendent of the Wiradjuri people of central NSW and also has English and Irish heritage, is a Senior Research Fellow at Western Sydney University. How to subscribe to Croakey ? Meeting with Minister Wyatt within hours of his being sworn in as a Minister provided the opportunity for questions about the direction of Aboriginal and Torres Strait Islander health policy. Given Wyatt is the first Aboriginal person to serve on the frontbench in the House of Representatives, and because so much uncertainty and shrinkage has occurred in Aboriginal and Torres Strait Islander service funding under the Coalition Government whom he serves, he will no doubt face enormous pressure from diverse Aboriginal communities and organisations. We met particularly to ask about the role the health portfolio will take to address the over-incarceration of Aboriginal and Torres Strait Islander peoples, given that justice is a determinant of health. We had read Wyatt’s statements as Assistant Minister about the need to address such determinants. Having previously provided him with a copy of our #JustJustice book, which contains dozens of examples of ‘what works’ as determined by Aboriginal and Torres Strait Islander people,we were keen to hear what he would take forward. 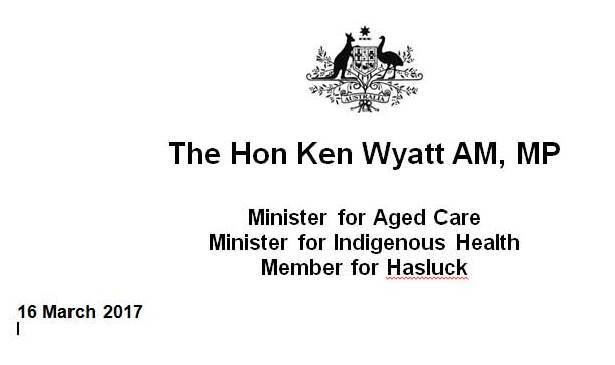 As Member for Hasluck in Western Australia for the Liberal Party of Australia and a long-term public servant, Wyatt is not new to Parliament nor Aboriginal and Torres Strait Islander policy and leadership, and indeed has previously had carriage of Indigenous Health as an Assistant Health Minister. He can discuss with authority the complexity of Aboriginal and Torres Strait Islander peoples’ health status, and the contributing individual and structural factors. His extensive career working in Aboriginal affairs in numerous capacities around Australia, and many of his positions in and outside the health sector obviously contribute. In terms of understanding determinants of health, Minister Wyatt initially trained as a primary school teacher and taught for a number of years before moving into public administration. He was also involved in health education and developed health curriculum. While in the education system he was offered the opportunity to work for the WA Health Department’s Aboriginal health policy unit with only two staff – himself and a non-Indigenous doctor. He said the move was a “great transition to another agency and a different experience”, and that “it was a period of new learning and fighting different battles”. This was at the time the National Aboriginal Health Strategy (NAHS) was launched – the first serious attempt to reduce the health inequity between Aboriginal people and other Australians. While it remains a key guiding document informing subsequent policies, Wyatt witnessed first-hand the way some state-based Ministers rushed the endorsement of the policy, and the 1994 evaluation findings that it was never fully implemented. After four years in WA Health, Wyatt again worked in the education sector, before shifting across to become the Director of Aboriginal Affairs in NSW Health. In preparation for this, Wyatt remembered consulting with NSW Aboriginal Elders and service providers. During his five-year directorship, he worked closely with Aboriginal Community Controlled Health services (ACCHOs). Reflecting on this time, Wyatt saw how it made sense for governments to fund ACCHOs directly to deliver services, because of their success, and to avoid duplication. Wyatt had close contact with Maari Ma Health in particular, an Aboriginal Medical Service providing health services for Aboriginal people in their area, contracted by NSW Health. With every new Minster comes the likelihood of change; Wyatt brings more experience to the federal leadership position for improving Aboriginal and Torres Strait Islander peoples’ health than any of his predecessors or peers. Minister Wyatt also comes to the portfolio after a period of turbulence in Indigenous health and Indigenous affairs more broadly. The Indigenous Advancement Strategy (IAS) restructured and cut funding, causing “uncertainty, stress and anxiety”, according to submissions to the Senate Finance and Public Administration References Committee. The IAS also forced a competitiveness between Aboriginal and Torres Strait Islander services never before encountered, and contributed significantly to stress on the ACCHO sector, which was already under pressure and inadequately funded to meet demand, in a policy environment that has pushed the “mainstreaming” of Indigenous health services. The sector now also faces further uncertainty given that the Medicare Benefits Schedule Review, the Medicare rebate freeze, and the Pharmaceutical Benefits Scheme Review all have implications for the work of ACCHOs. Also on the minds of many in the sector is the Nous review of the roles and functions of the National Aboriginal Community Controlled Health Organisation (NACCHO) and the state/territory Aboriginal and Torres Strait Islander health peak bodies (more background about this review is here). In his role as Minister for Indigenous Health, Wyatt wants to see improved primary health care access for Aboriginal and Torres Strait Islander people. This includes through ACCHOs and mainstream services. In terms of mainstream health care access, Wyatt cited the challenges of geographical diversity, institutional racism and the need to address social and cultural determinants of health. These challenges have long been poorly met by mainstream health services, yet better addressed by ACCHOs. To address institutional racism and champion work on social and cultural determinants of health, a cross-portfolio working group endorsed by a cabinet sub-committee has been established. Wyatt acknowledges that “social and cultural determinants of health underpin everything that we do”, sending a message of hope for achieving core components of the Aboriginal and Torres Strait Islander Health Plan Implementation Plan, launched in 2015. We have learnt from the limitations of NAHS implementation that mechanisms of accountability are crucial. Donna Ah Chee, Julie Tongs and Mark Wenitong with expertise across early childhood, comprehensive primary health care, acute care and justice, among other issues. Minister Wyatt clearly has some significant challenges ahead. Given his commitment to action on the social and cultural determinants of health, he will have to forge effective ways of working across sectoral and jurisdictional boundaries. While governments have a long history of poor accountability in relation to Aboriginal and Torres Strait Islander health, the solutions are well identified about how to deliver and evaluate effective and efficient care. Countless calls for national leadership have been made and, now that we have an experienced, respected and respectful Aboriginal Minister at the helm, many will be hoping that he can achieve the level of change needed, including a strengthening of ACCHOs in funding, certainty and influence over mainstream models of care, and effective outcomes from the new social and cultural unit. ” We congratulate Mr Hunt on his appointment as Health Minister and look forward to meeting with the minister to discuss the importance of Aboriginal led medical services in developing and delivering health programs for more than 750,000 Aboriginal and Torres Strait Islander people living in remote, regional and urban communities. 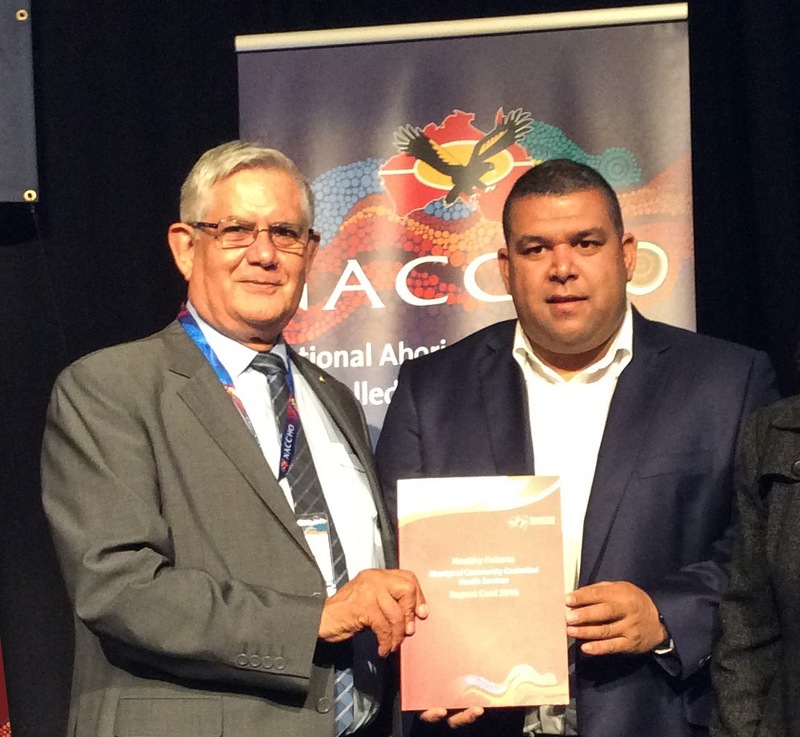 NACCHO the peak body for Aboriginal health services is looking forward to working with newly appointed Health Minister Greg Hunt and Minister for Indigenous Health Ken Wyatt to close the gap in health for Aboriginal and Torres Strait Islander people. ” NACCHO is especially proud to see Minister Wyatt attain such a senior position in the Turnbull government. The historic promotion, one of many for this Member of Parliament, is an acknowledgment of the high regard he achieved working as an assistant minister, his attention to detail and how respected he is in the Aboriginal community and health sectors across Australia. As a previous Director of Aboriginal Health in the public services of NSW and WA he brings a unique perspective to the role. NACCHO will assist him in meeting the expectations of the Aboriginal and Torres Strait Islander community to enjoy a quality of life through whole-of-community self-determination. Minister Wyatt has many years of experience working in both Indigenous health and education, which is invaluable at a ministerial level and the understanding, needed to make progress towards Close the Gap targets” he said. Mr. Cooke also thanked outgoing Health Minister Sussan Ley for her work in the portfolio and her support for NACCHO. 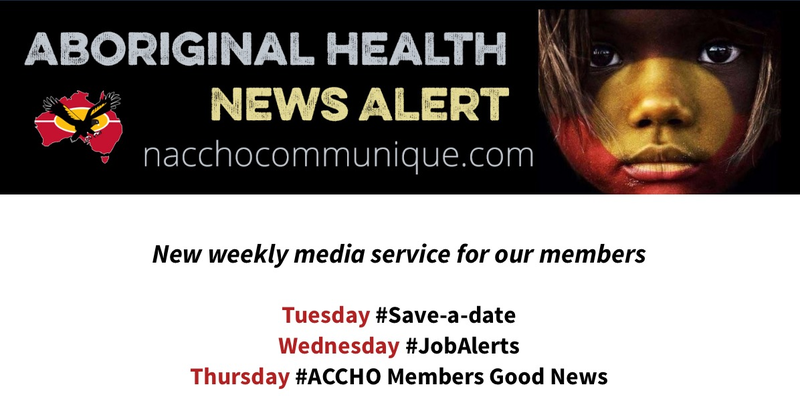 Last year 140 Aboriginal community controlled health organisations (ACCHOs) provided nearly 3 million episodes of care to over 340,000 clients. ” In health, Wyatt said he wanted particular improvements for children below the age of eight and young people generally. Improving social determinants of health would help extend lifespan and achieve parity with all Australians. Wyatt made the comments to ABC Radio National on Thursday in an interview about his appointment as aged care and Indigenous health minister, which will make him the first Indigenous person to hold a commonwealth ministry. Wyatt has also broken from his Coalition colleagues who criticise Labor for considering debate on treaties with Indigenous people at the same time as constitutional recognition, saying the two are not in conflict and a “dual conversation” is possible. He agreed it was in a sense “unbelievable” that it had taken this long for an Indigenous person to reach the ministry. He said he and the other Indigenous members of parliament held their positions on merit and that sent “a very strong message to young Aboriginal Australians that their hopes and aspirations can be achieved in many arenas”. The emphasis had shifted to “working with Aboriginal people rather than doing things with them”, and he said working alongside Indigenous people had helped others understand issues in Indigenous communities. Wyatt said he would aim to achieve “an all round improvement in Indigenous affairs, including the industry that has evolved around Aboriginal affairs that sees money being siphoned off to administration rather than directly to frontline [services]”. In health, Wyatt said he wanted particular improvements for children below the age of eight and young people generally. Improving social determinants of health would help extend lifespan and achieve parity with all Australians. 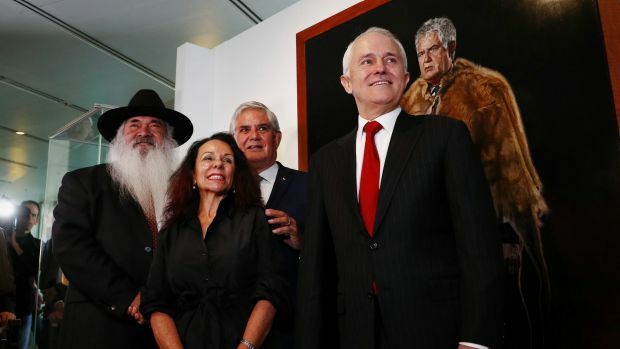 On Wednesday night Wyatt told ABC’s 7.30 he still believed Australia was on track to achieve recognition of Indigenous Australians in the constitution. He said aspirations among some Indigenous Australians for a treaty had not caused momentum for recognition to stall but had sparked a “dual conversation” on both concepts, which were not in conflict. “I would certainly hope that we don’t abandon, nor set aside, our desire to have recognition within the foundation document of this country’s frameworks,” he said. The comments are at odds with his Coalition colleagues who argue that Labor’s consideration of a treaty with Indigenous Australians puts at risk a “meaningful but modest” change in the form of constitutional recognition. Wyatt did agree that recognition was the main priority, saying treaties are “a way forward but they’re not set in the … country’s [foundation] document and I’d rather see recognition first and then treaty”. 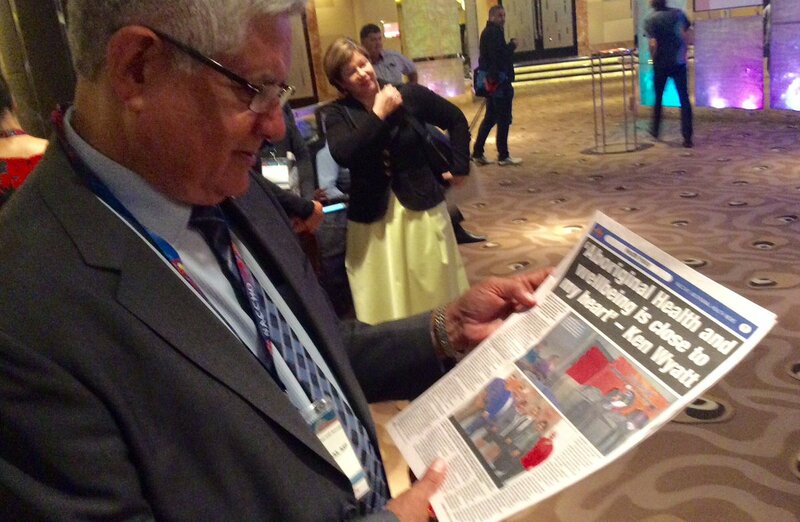 ” Ken Wyatt, who has been the Assistant Minister for Health and Aged Care, will become the Minister for Aged Care and Minister for Indigenous Health. Just as Ken was the first indigenous person to be elected to the House of Representatives and the first to be appointed to the executive, he is now the first Indigenous person appointed to a Commonwealth Ministry. Health touches the lives of every Australian. It is essential that people can see a doctor when they need to and have medicine when they are not well. For this reason, I am deeply honoured to take on this new and very important responsibility. My mother was a nurse. My wife is a nurse. All my life I have witnessed the absolute dedication of Australia’s medical professionals. I now look forward to working with our excellent nurses, doctors, researchers, and all our healthcare professionals. Our scientists are recognised as some of the best in the world for their medical breakthroughs. I am passionate about turning what is done in the laboratory into better healthcare for patients, and more effectively preventing illness in the first place. I believe deeply in the importance of Medicare. It is key to Australia’s successful healthcare system. The Turnbull Government has a rock solid commitment to the fundamental role that Medicare plays in our health system. Mental health is an issue that is very close to my heart. I want to be a strong advocate for greater understanding and community awareness, and to ensure we have the necessary resources to help deal with this very important issue. And as a sports fan and sports Dad, I am also thrilled to be working towards getting more Australians, including indigenous Australians, involved in sport. Our love of sport is quintessentially Australian. Sport improves our health, brings communities together and inspires us. Lastly, I am pleased to be working with the Hon Ken Wyatt AM and the Hon Dr David Gillespie in their respective roles.